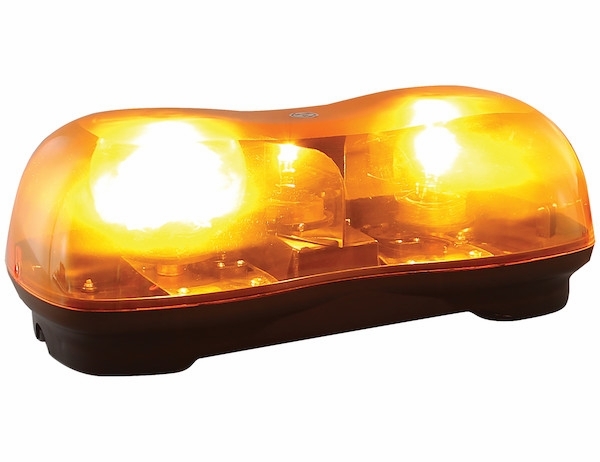 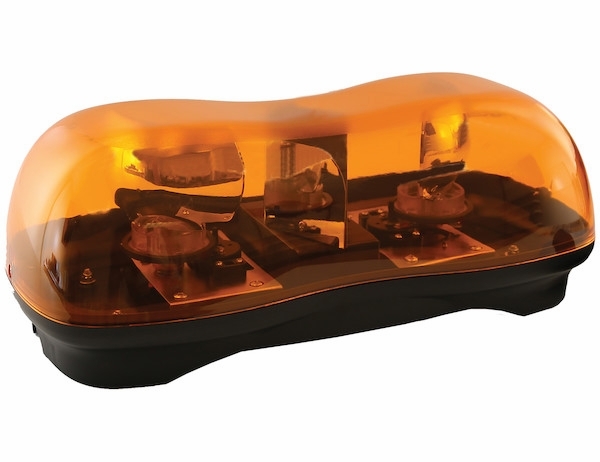 - Bright amber lights rotate at 320 FPM for added visibility. 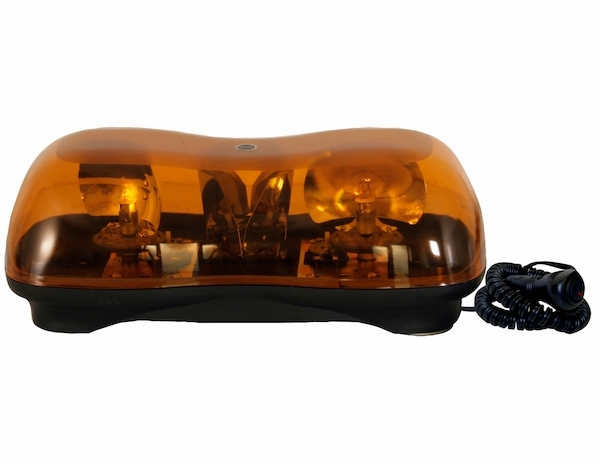 - Can be plugged into a 12V accessory power port for immediate use. Buyers Products 16.5 Inch by 6 Inch Halogen Revolving Light Bar has an amber lens, two halogen bulbs, and a rotation speed of 320 flashes per minute. 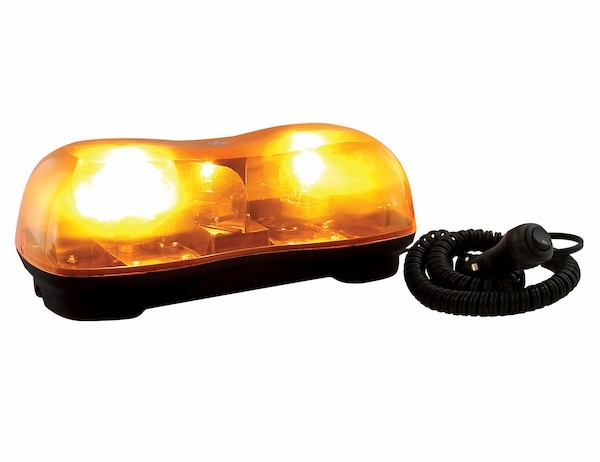 The light bar has magnetic mounts that adhere to any metal surface and a 10 ft cord with accessory power plug.